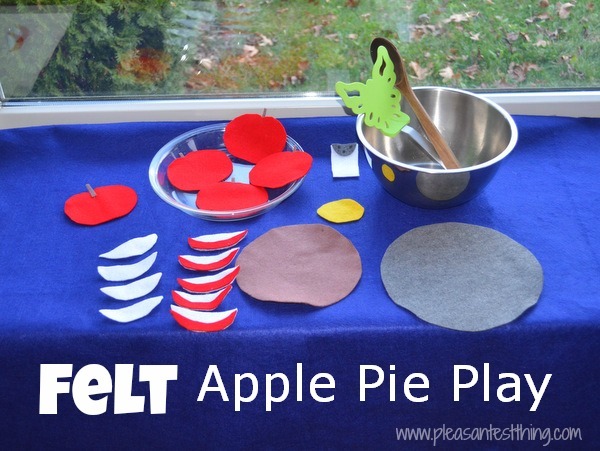 With thoughts of Thanksgiving pies in my head, I decided to make the boys an apple pie pretend play station. We also added in real bowls, spoons, and a spatula. My sons (4 1/2 and 16 months) played with this set in so many ways. Mixing the ingredients, pretending to peel the apples, matching slices to apples, decorating the pies with pieces, taking orders, bringing me pie, naming the shop. My older son turned the highchair into an oven. 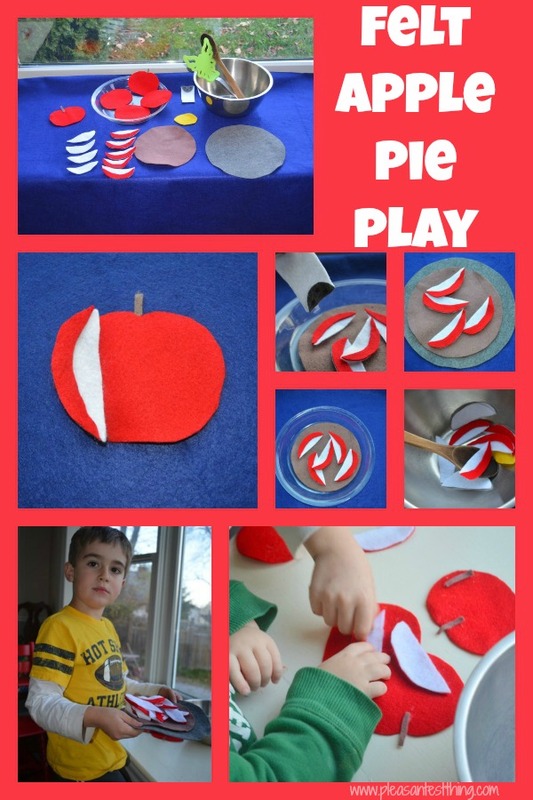 For the little guy especially, grabbing the slices and putting them into the bowl was a fun fine motor activity. He even got into the pretend play aspect by handing me pies! For additional fun, I added measuring cups and spoons. 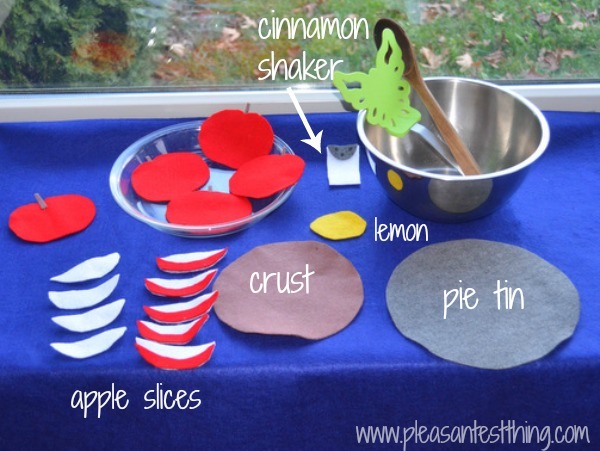 In addition to additional pretend play opportunities, this play helps them learn measurements. I’m also going to make felt pumpkins and pecans so we can add selections to our pie set up!